These Silicone CandyMolds are a great beginner's set! Make 5 different kinds of candies with one set. Fill them with truffles, solid chocolate, caramel, and more! 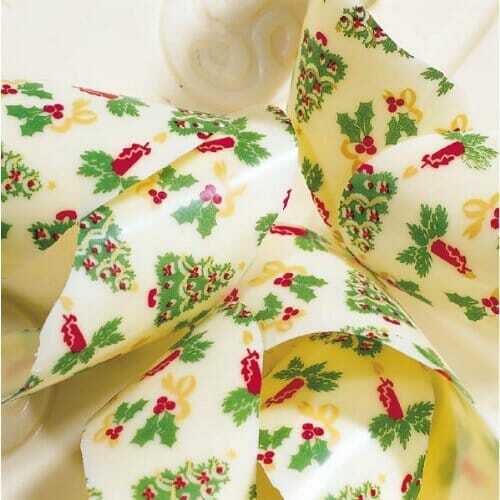 These Paper Candy Cups are perfect for holding truffles or caramels, or for using to make chocolate peanut butter cups! 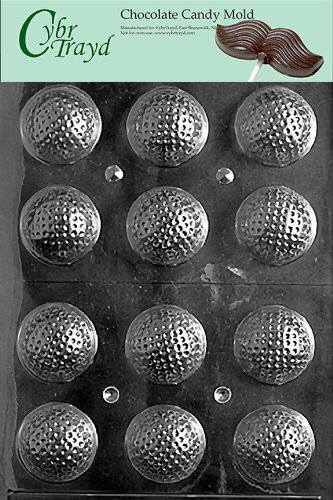 This 8-pack candy mold set has a ton of fun options for making your own candy shapes. Choices include flowers, stars, sports balls, birthday hats, and of course, balloons! 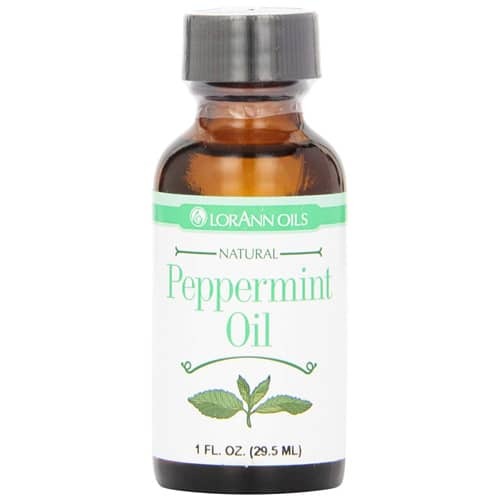 Peppermint Oil is the best way to get authentic peppermint flavor in your baked goods! It's incredibly concentrated, so you'll need just 1-2 drops to get a strong peppermint taste. 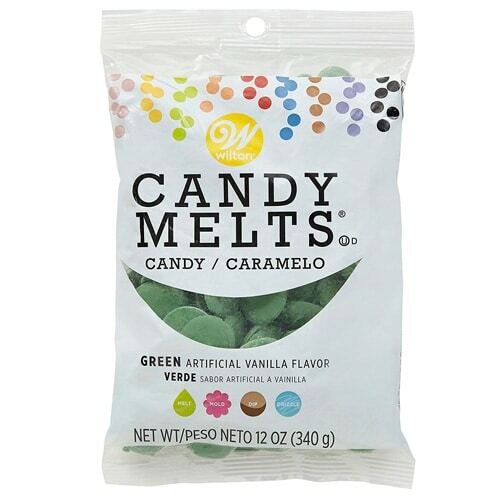 Green candy melts are the easiest way to make green candies and decorations! Use them for drips on cakes, to mold candies, or to coat truffles. 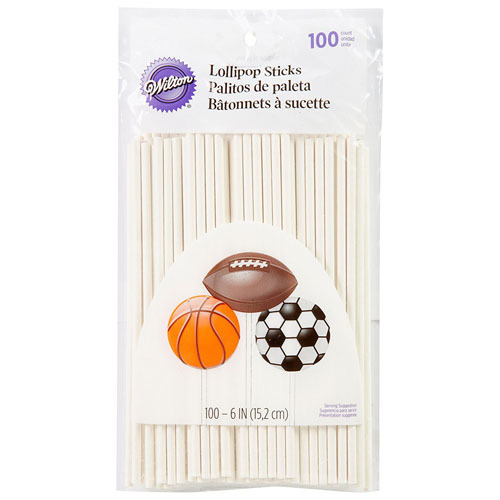 These sturdy Lollipop Sticks are great for making hard candies, chocolate lollipops, cake pops, cookie pops, and so much more! Use them alone or with a lollipop mold. These assorted hard candies are great for making easy homemade hard candies! There's a wide variety of colors and flavors, so you can crush them up and melt them together to make beautiful hard candy mosiacs in many different fruit flavors. 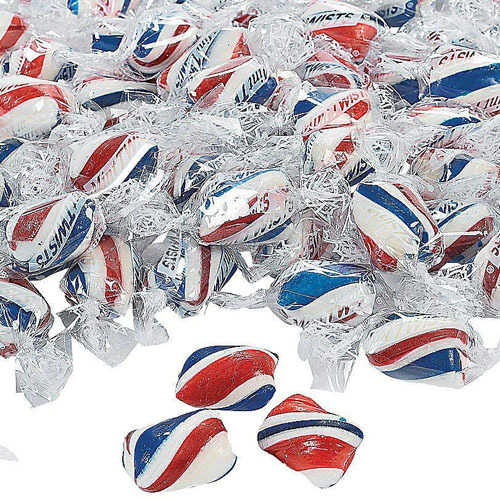 These red, white, and blue Patriotic Twist Mints are perfect for decorating cakes, cupcakes, and other desserts! You can also melt them down in silicone candy molds to make beautiful swirled candies. This Star Silicone Candy Mold is great for making homemade candies! 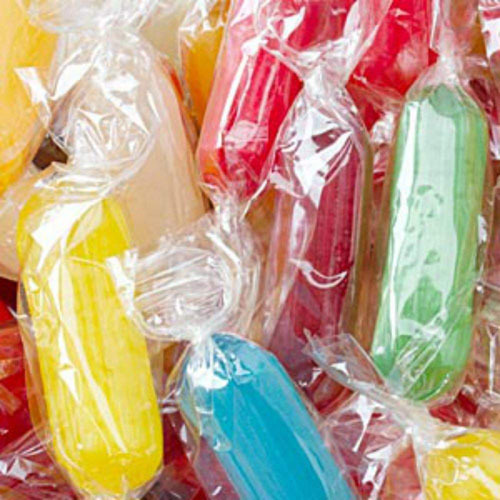 Since it's oven-safe, you can fill it with hard candies and melt them in the oven to make easy homemade lollipops, or pour hot sugar syrup into it to make your own lollipop flavors. It also works well with chocolate or gelatin! 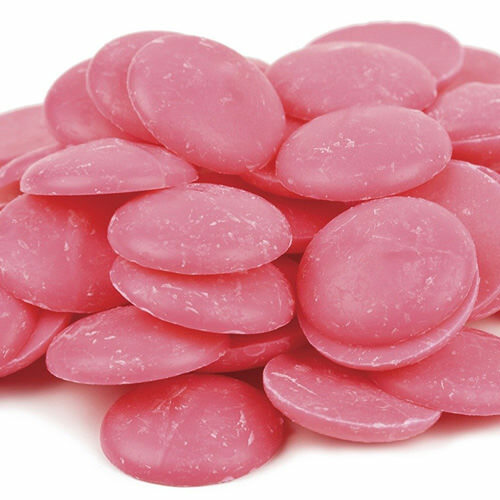 Bright Pink Candy Melts are a fun and easy way to make candies and other desserts with a vibrant pop of pink. Use them to make drippy ganache, for dipping candies, or for making buttercream filling. This egg-shaped silicone mold is perfect for making Easter candies! Use it to make truffles, marshmallows, buttercreams, and more. 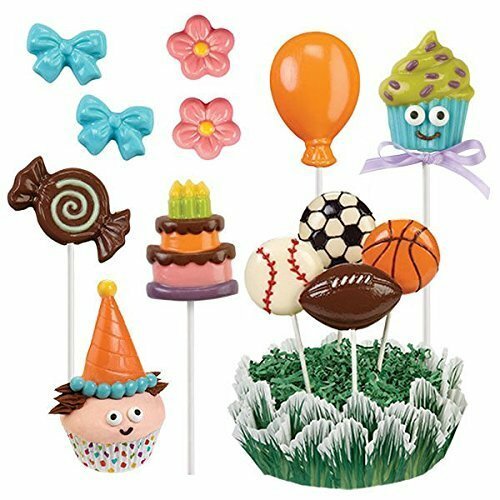 The flexible, non-stick silicone is wonderful for candy making because chocolate releases easily, and even sticky candies can be coaxed out without a problem. Christmas Chocolate Transfer Sheets are an easy way to add Christmas sparkle to chocolates and other treats! 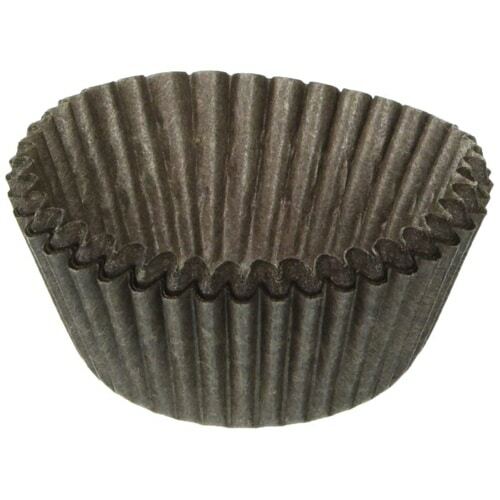 Use them on dipped truffles or with acetate cake collars to make chocolate-wrapped cakes. This skull 3D candy mold is such a fun way to make Halloween desserts! You can use it to make traditional sugar skulls for Dia de los Muertos, or use it to mold chocolate skulls for Halloween. I like to make hollow skulls and fill them with candies, fresh fruit, cake, and other goodies, but you can also make solid chocolate skulls if you'd like. 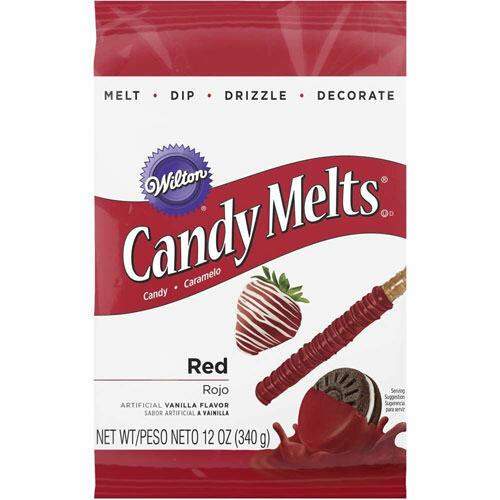 Red Candy Melts are an easy way to make red candies at home. Red can be a very hard color to achieve with food coloring, so whenever possible I always recommend buying red candy coating or red fondant–it’s just much easier to get a true red without having to add a gallon of coloring! These wafers melt easily, have a pleasant taste, and are great for dipping and molding. Use them for making Valentine's Day Candies, Christmas Candies, or spooky Halloween candies! Turquoise Candy Melts are easy-to-use candies that are perfect for dipping, or melting and adding to recipes! This candy coating is a dream to work with, and I always keep some on hand for fun, colorful candy projects. 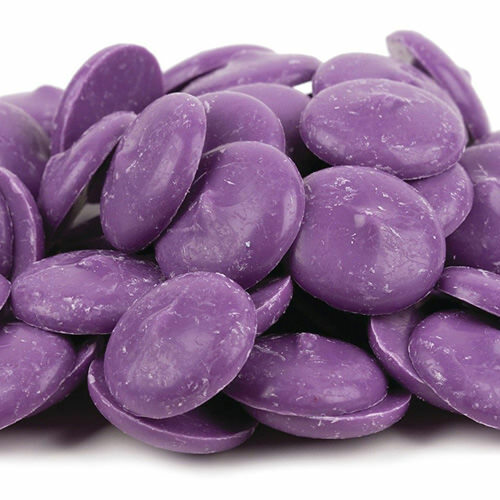 Purple Candy Melts are easy-to-use candies that are perfect for dipping, or melting and adding to recipes! This candy coating is a dream to work with, and I always keep some on hand for fun, colorful candy projects. Pink Candy Melts are easy-to-use candies that are perfect for dipping, or melting and adding to recipes! They're great for Valentine's Day candies, and make a wonderful coating for chocolate truffles. Orange Candy Melts are easy-to-use candies that are perfect for dipping, or melting and adding to recipes! 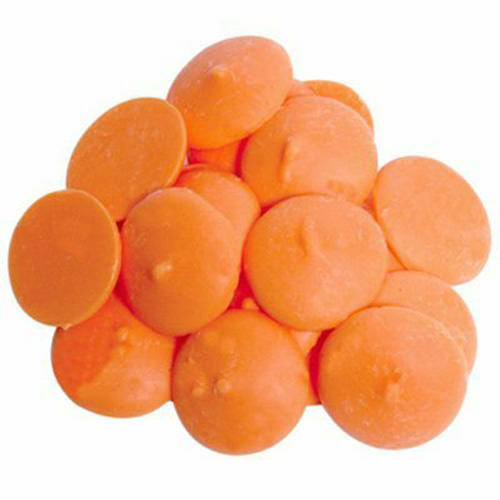 I like to use these to coat truffles for Halloween, mold mini pumpkins, and add a bright orange color to fudges and chocolate lollipops! 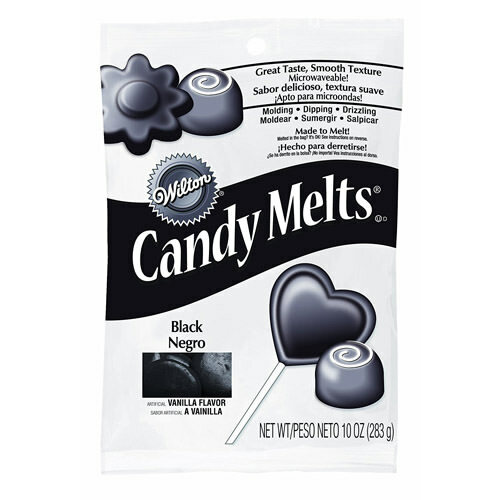 Black Candy Melts are an easy way to make black candies at home. Black can be a very hard color to achieve with food coloring, so whenever possible I always recommend buying black candy coating or black fondant--it's just much easier to get a true black without having to add a gallon of coloring! These wafers melt easily, have a pleasant taste, and are great for dipping and molding. 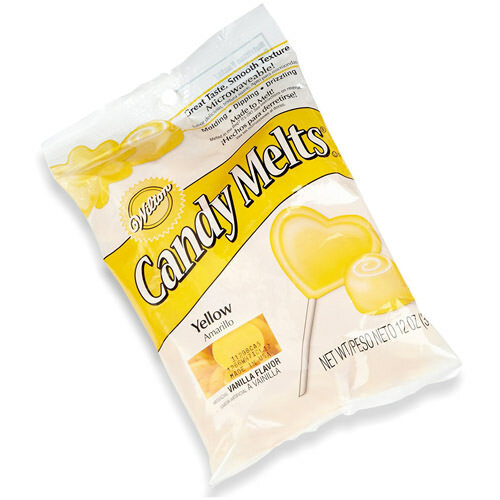 Yellow Candy Melts are an easy way to make yellow candy at home. These wafers have a light vanilla flavor, and melt quickly and easily. 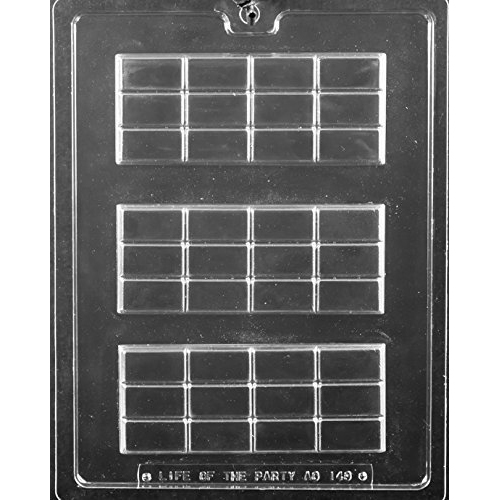 Use them for molded candies, candy bars, colored ganache, or for dipping candy centers. This candy bar mold will produce thin candy bars about the size of a Hershey's chocolate bar. It's inexpensive, so it's perfect for the beginning candy-maker, but with proper care and storage can last for year. Each bar holds approximately 2-3 ounces of chocolate, so they're substantial but not too much for a single serving. 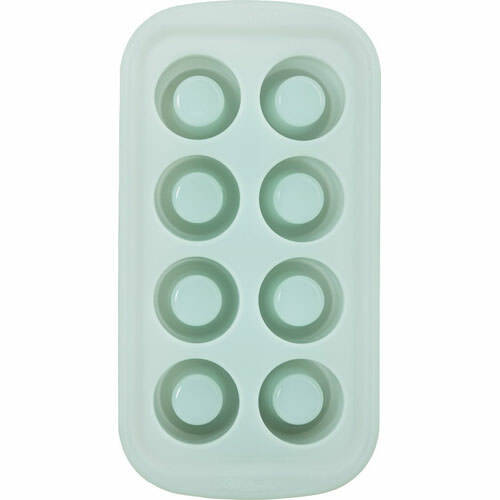 This Silicone Shot Glass Mold is great for making shot glasses out of all sorts of edible materials! You can use it for chocolate, hard candies, gummy candy, ice (or other frozen liquids)--even bake cookies or brownie shot glasses in it! 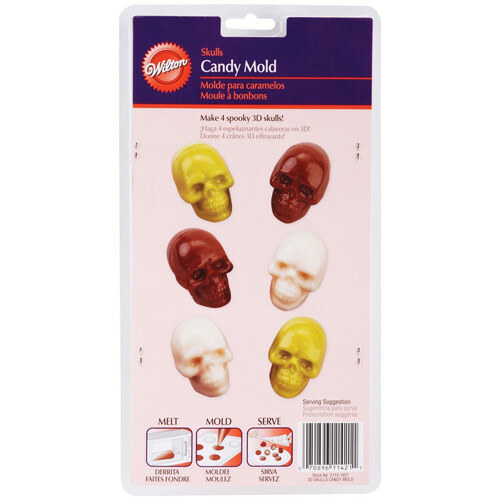 This 3D skull candy mold is what you need to make realistic candy skulls for Halloween! 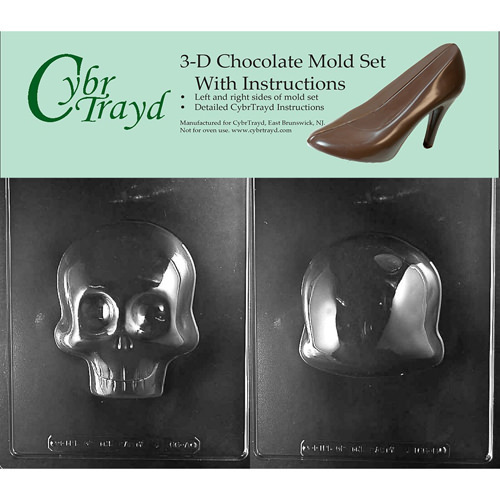 Use it with chocolate or candy coating make mini edible skulls. You can make solid chocolates, hollow chocolates, or fill them with caramel, ganache, or marshmallow fluff! This golf ball candy mold is so cute! It's inexpensive, easy to use, and perfect for making candy golf balls. It's also a great size--the resulting golf ball truffle are very close in size to the real thing. You can make them hollow, make them solid chocolate, or fill chocolate shells with a delicious filling like ganache or caramel.